Taylor’s convenient location in the New Hampshire Lakes Region keeps you close to nature and all the shopping, restaurants, entertainment and attractions you love. But with so much to do on campus, you may never want to leave! Take advantage of the many amenities like the therapeutic exercise pool, café, dining room, theater, craft rooms, library and media center, fitness center, meeting rooms, walking trails, beautiful lawns, gardens, and more. Plus, you’ll never be tied down with unnecessary chores; leave the lawn care, landscaping, trash removal, snow removal, and interior and exterior maintenance to us! Peace of mind is something many people take for granted, but at Taylor it’s one of many unique benefits our continuing care retirement community provides. It comes from having access to quality long term care services, if ever needed, such as assisted living, memory care and nursing care. 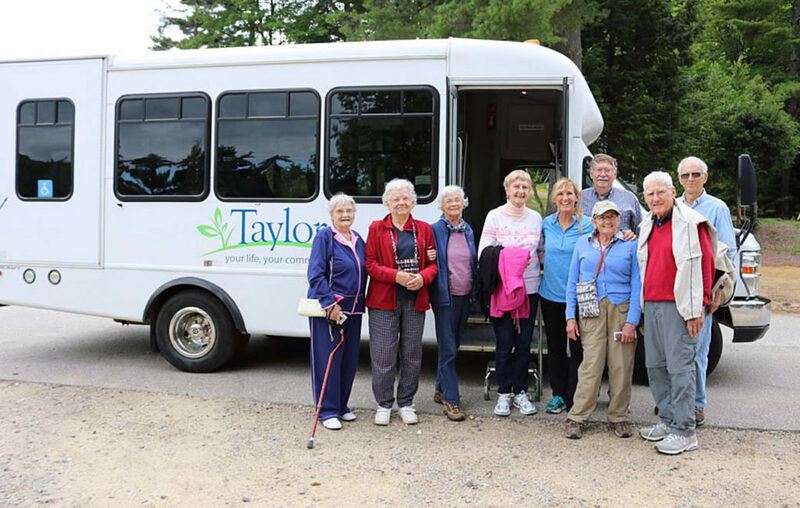 Taylor offers you the security of being able to enjoy active retirement living in an independent living cottage or apartment knowing that you have priority access to a full continuum of care should it be needed or wanted in the future. This empowers you to secure a long-term plan for your future, with freedom and independence to more fully embrace each day.